Yes, it will probably run Crysis 3. AMD just did Intel one better at Computex. Intel wowed the Taipei crowds on Tuesday with a 28-core Core chip, which the company promised by the end of the year. One day later, on Wednesday, AMD announced Threadripper 2—and at 32 cores and 64 threads, it will easily top what Intel promised. AMD’s Threadripper 2 announcement was the highlight of the company’s press conference, which didn’t have much to offer in the way of new announcements in graphics. AMD did say that PowerColor’s tiny Vega 56 Nano for mini-ITX systems is now shipping. 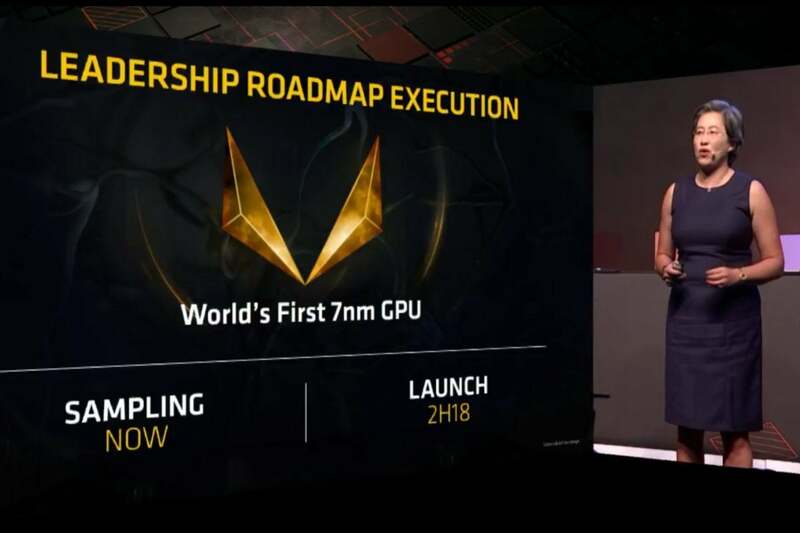 The company also showed off a 7nm derivative of its Radeon Vega GPU for workstations, advising users to “stay tuned” for 7nm consumer GPUs. Finally, the company showed off a 7nm version of its Epyc server processor, which will ship next year. Over 400 million PC and console players use AMD’s Radeon technology; over ten times as many use Vega GPUs, said Lisa Su, the president and chief executive of AMD, comparing to the company’s previous-generation GPUs. Epyc, the company’s server processor, has captured 50 server platforms. Su highlighted design wins by Cisco, HP and Tencent. “This is a heavy metal performance,” said Jim Anderson, AMD’s corporate vice president of the Computing and Graphics Business Group, summing up the performance of AMD’s Threadripper 2, a year to the day after Anderson announced the first-generation Threadripper at Computex 2017. AMD’s Ryzen 12nm 2nd-generation CPUs are due to launch in Q3 2018, following the launch of the second-generation Ryzen. 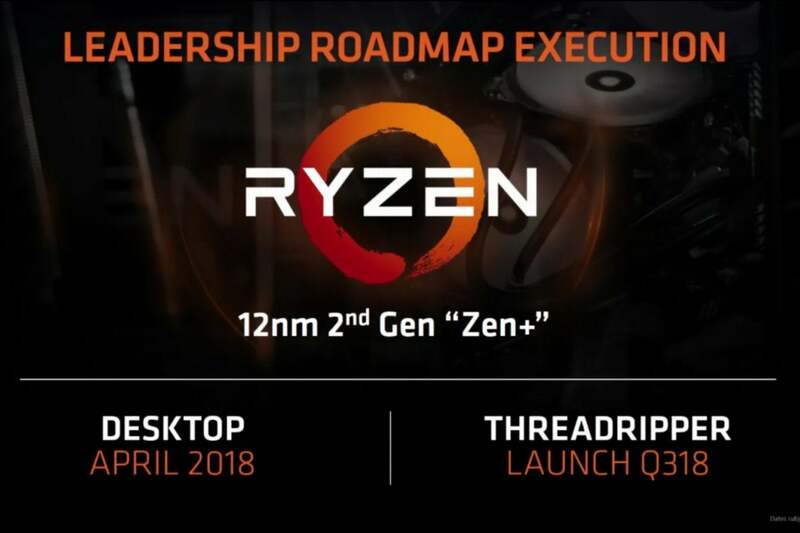 Threadripper 2 will be modeled on the second-generation Ryzen processor, based on 12nm, and the Zen+ architecture. More importantly, it will drop into the same TR4 socket—and it will be air-cooled, executives said, giving customers an easy way to shift from one Threadripper generation to the next. AMD emphasized what might be called the mondo version of Threadripper 2: 32 cores, 64 threads. However, Anderson promised more versions, and PCWorld learned of a 24-core version in follow-up questions after the press conference. The first chips will appear in the third quarter. AMD has clearly had a success story with its Ryzen chips, and Anderson touted a few examples. Probably the most telling is the company’s claim that it has captured 40 percent of the gaming market. AMD plans to continue its momentum, with 60 new Ryzen systems set to launch through the course of 2018. In notebooks, AMD launched a mobile version of Ryzen last October, pairing that up with a similar product for commercial systems in May. AMD is delivering about 30 percent more CPU performance and about 100 percent more GPU performance than its competition from Intel, Anderson said. Kevin Lensing, the corporate vice president of client strategy and business development, showed off some of the success stories for Ryzen in the notebook space, including Dell, who said it will refresh its desktop platforms with the second-generation Ryzen parts. Asus appeared on stage to show off the X570ZD, an odd pairing of a Ryzen 7 2700U processor with a GeForce GTX 1070. Lenovo showed off the IdeaPad 530S. HP, Dell, and Lenovo have also adopted Ryzen Pro in their commercial systems, Su said. More than 5 million users now own Ryzen machines, she added. “We are extremely excited about what Ryzen has done, but more importantly, about what Ryzen will do,” Su said. AMD’s top Radeon executive made the argument that gaming and gaming GPUs assist everything from movies to social interaction, especially by virtually blasting each other in games like Fortnite. In some places, such as Asia, it’s more popular to watch gamers than actual scripted TV, said Scott Herkelman, vice president and general manager of Radeon Gaming for AMD. The total gaming hardware market touched $34 billion last year, he said. AMD’s Lisa Su showed the Leadership Roadmap Execution for the company’s 7nm GPUs, due to launch in 2H 2018. Unfortunately, most of AMD’s graphics presentation was highlighting the past, present and future contributions of partners. But there was a significant disclosure: PowerColor’s Radeon Vega 56 Nano is available now, and the company announced a FreeSync partnership with Samsung TVs. AMD teased a Radeon RX Vega Nano at its Capsaicin 2017 event. The tiny card is designed for mini-ITX systems and supplants the original Radeon Nano, which leveraged HBM’s small footprint to cram big-time power into tiny hardware. David Wang, senior vice president of engineering for Radeon, showed off the company’s roadmap, which hasn’t changed: alternating process technologies and architectures. Wang’s message implicitly rebutted Nvidia chief executive Jensen Huang, who had told attendees that a new graphics architecture wouldn’t arrive for a very long time. “We’re committed to bringing new products every year, consistently every year,” Wang said. The company has multiple 7nm products in development, and Wang introduced its first: the Vega 7nm, which includes better security, Infinity Fabric, hardware virtualization, and deep learning logic. It will be optimized for workstations and datacenters. It will be complemented with an open software ecosystem for machine learning, Wang said. AMD showed off the 7nm GPU in action, paired with 32GB of HBM2 memory in a Cinema4D rendering demonstration. But consumers shouldn’t despair, as AMD’s Su promised a version for them as well.